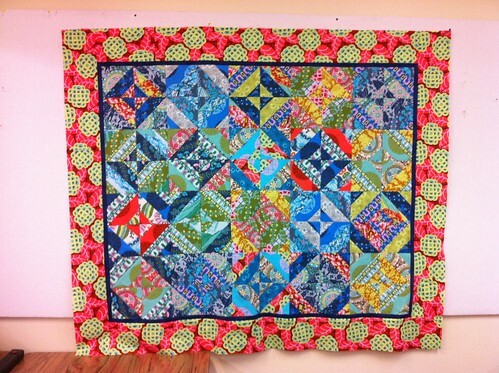 Join us along with other modern quilt guilds across the nation for the Madrona Road Challenge. The fabric collection Madrona Road was created by Portland Modern Quilt Guild Member, Violet Craft. If you joined us for our January meeting, bundles of fabric were handed out for the challenge there. There are a few bundles left, please contact Christine Smartt if you would like to have one and participate in the challenge. Once upon a time in the windy lands of the Old West a baby girl was born to a rooted father and a gypsy mother. And so begins the story of Madrona Road, a modern, sophisticated fabric collection of crisp florals, monochromatic textures and text prints. 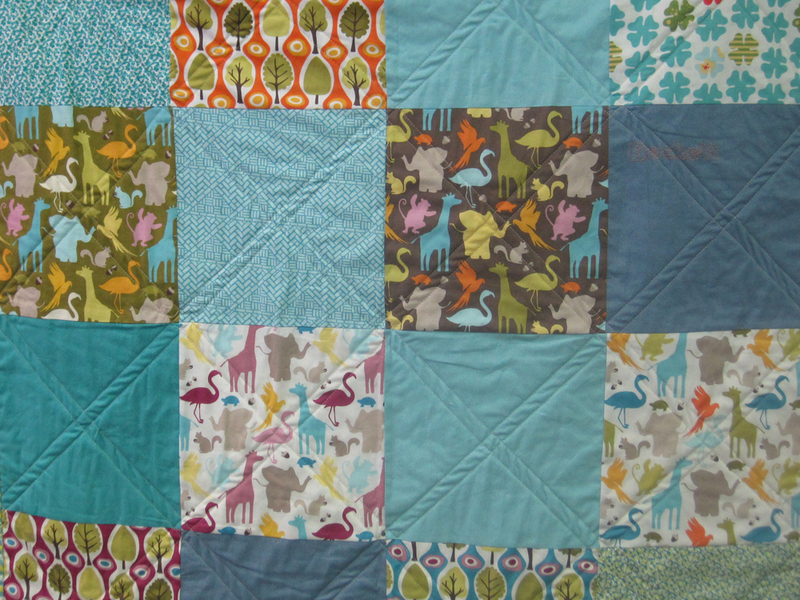 Violet Craft designs licensed fabric for Michael Miller Fabrics from her home in Portland, Oregon. Her newest collection, Madrona Road shipped to stores in July 2012 and her new collection of Distinctive Lifestyle Sewing Patterns was released in Winter of 2012. Most days she can be found playing on Twitter, Flickr and Instagram under the ID violetcraft or blogging at Violet Craft. 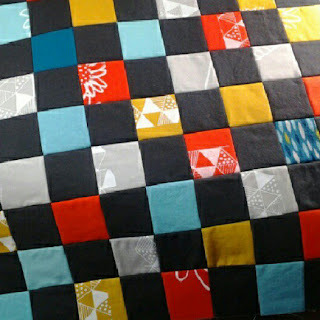 Using other colorways of the fabric line is allowed. 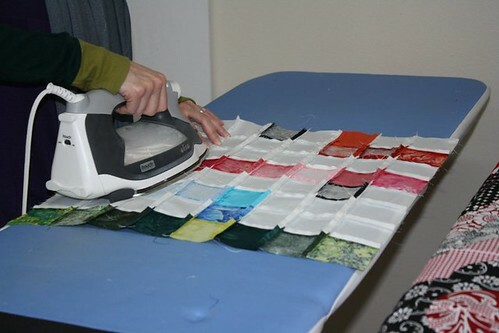 Quilting something is encouraged, but you are allowed to make any sewn project you'd like. Completed projects should be uploaded to the Modern Quilt Guild’s Flickr page by January 31, 2013. Also, please add your photos to the Austin MQG Flickr page and on Violet Craft's Flickr share page. 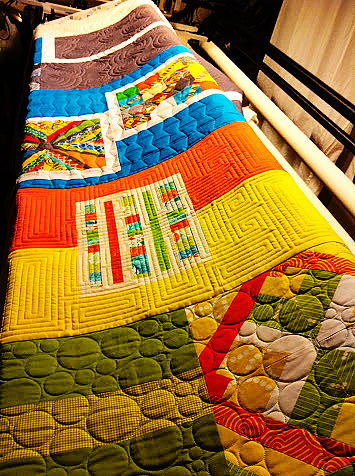 Quilts finished and posted on the national MQG Flickr page prior to 1/31 are available for consideration to be used by the Michael Miller Booth at QuiltCon (if the quilter is interested). Please bring your finished project to our next meeting on Thursday, February 28, 2013 to be entered to win door prizes. We can’t wait to see all of your creative projects! *If you would like to add more Madrona Road fabric to your project, several local quilt shops are carrying this line in their stores. The Cotton Cupboard and Valli and Kim have the Ocean color way and Form and Fabric has both the citrus and ocean color ways for sale online. Please remember that while anyone can join in on the fun, only members are eligible to receive prizes. If you'd like to learn more about membership please click here. We'd love for you to join us! The Dallas Quilt Celebration, March 8-10, is one of the largest quilt shows in the country, with an average show attendance of around 10,000 each year. 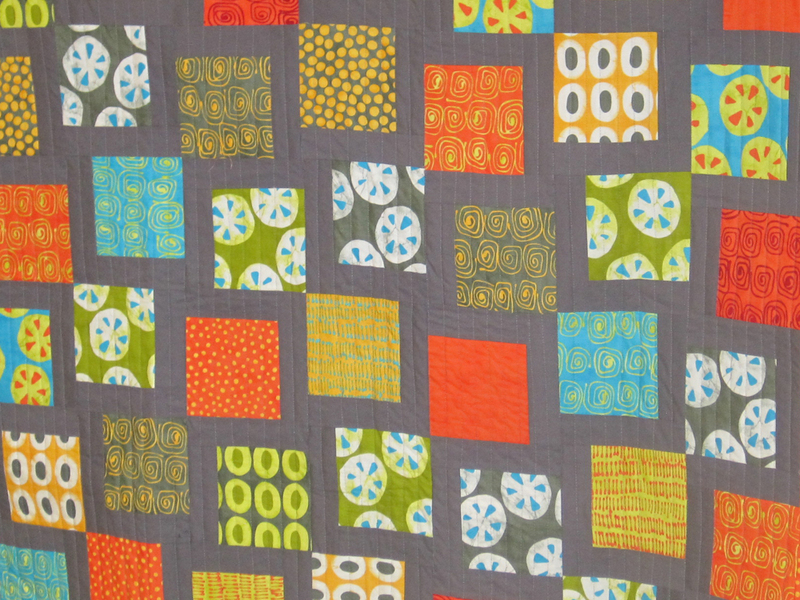 They exhibit 400 quilts, award over $15,000 in prizes, and have almost 150 vendors selling all kinds of quilt-y goodness! 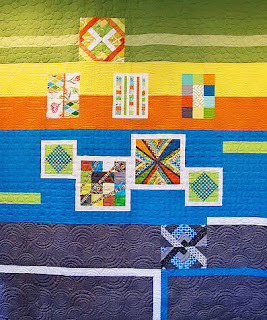 This year, they have chosen to create a special exhibit called “Modern Quilts of Texas” which will help introduce the modern quilting movement to attendees who may never have had an opportunity to see this type of quilting before. 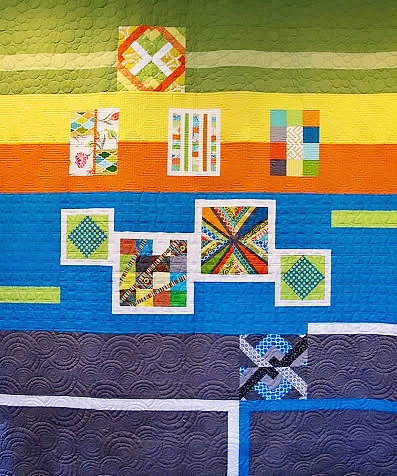 Through this exhibit and its accompanying booth of volunteers, this is an opportunity to highlight all of the Modern Quilt Guild chapters throughout Texas and to share our perspective and impact on the quilting community as a whole. 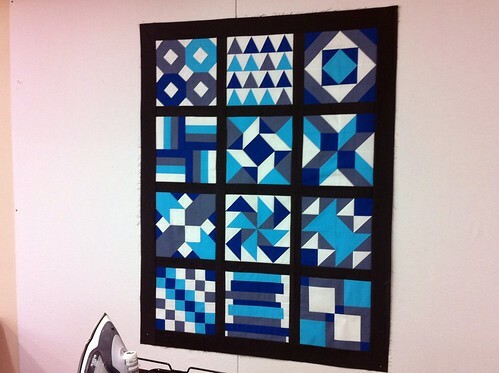 The Austin Modern Quilt Guild has five spots reserved in this exhibit for our members to show off their work. 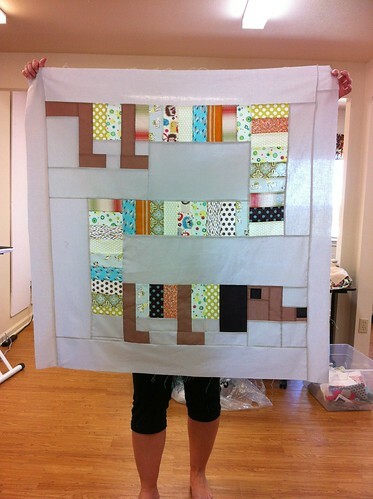 Since this show is after QuiltCon, feel free to submit those same entries if you want! Follow this link to get to the Entry Form and for more information about the Exhibit and Entry Submission. This is an Open Exhibit, meaning all quilt entries submitted will be accepted until they reach the maximum number of 60 quilt entries. The deadline for entry submission is February 18, 2013 and all entries will be accepted on a "first come, first served" basis. 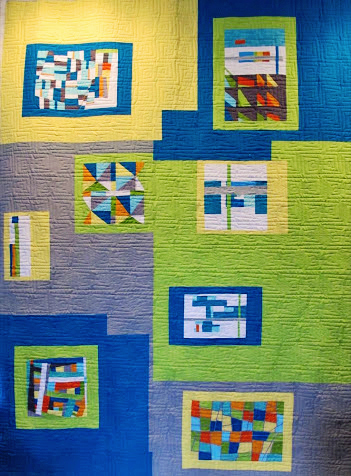 There will also be volunteer opportunities to man the information booth at the show and chat with attendees about modern quilting. Four hour-long volunteer blocks will be scheduled during show hours (Friday and Saturday 10a-5p; Sunday 12p-5p) and those who help will get free admission on the day they volunteer! 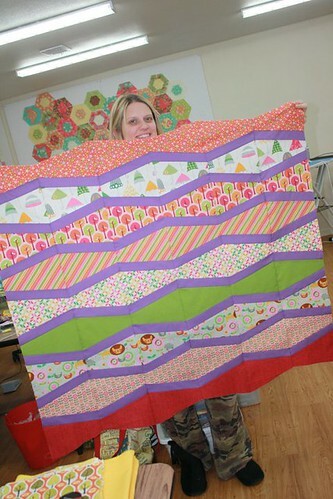 In addition, all volunteers will receive a thank you gift from the Quilter’s Guild of Dallas. If you’d like to volunteer on behalf of our guild, then leave a comment below & we’ll be in touch. This year our regular monthly meeting falls on Valentine's Day. We are aware that many people may have plans with family that night so we are rescheduling the February meeting to Thursday, February 28. The time and location have not changed. We'll meet at 6:30 at the Ronald McDonald House on Barbara Jordan Blvd. If you can, join us at 6:00 for a half hour meet-and-greet before the meeting starts. A more detailed meeting agenda will be posted on the blog soon. In March we will return to our regularly scheduled meeting times, the second Thursday of each month. The signup for the March 2013 retreat is now online! Click on the "AMQG Retreat" tab at the top of the blog to sign up. Wimberley Quilt Ranch raised the prices for guests, so that cost is being absorbed into your cost. The new prices for Austin MQG'ers are: $125 for two nights, $65 for 1 night, and $40 for the day. Payment must be paid in full when you sign up. Payment is still via PayPal. If the minimum has not been met by January 31st, then the retreat will be canceled. What is the minimum? 6 retreaters for both Friday and Saturday nights. Recruit your friends! If you have not been to a retreat before, consider going! 3. 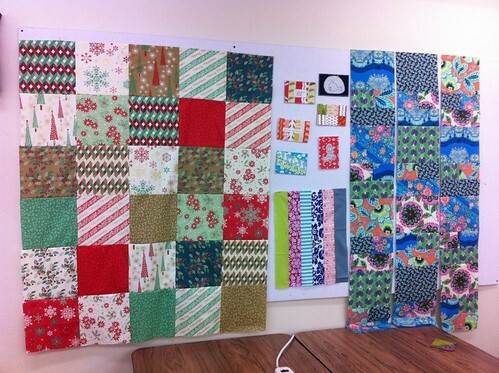 Inspiration and guidance from other quilters. 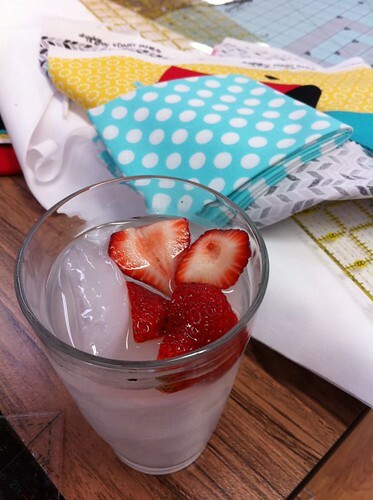 Or just covet their fabric collection. Let's get together at the Whip In for happy hour! 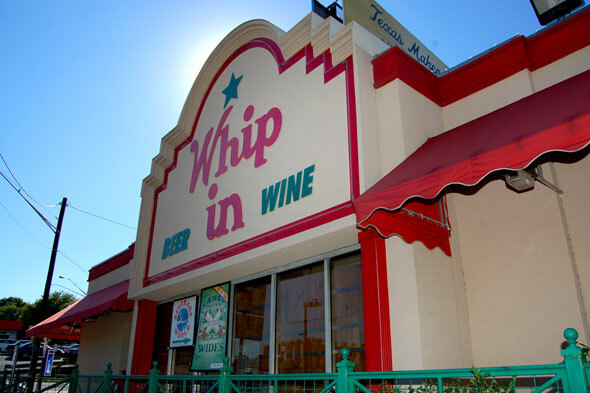 Join us, it's always a fun night!